Get one free child admission to Life Science Centre with each full paying adult, from Saturday 20 October – Sunday 4 November 2018. Use code KIDSFREE online, or buy your tickets on arrival at reception. *Terms and conditions apply. Excludes concessions. Also included in the admission price is the new live show How to be an Evil Genius** and the 4D Motion Ride*** Frankenstein: Escape the Monster, where the on-screen action comes to life as you hurtle down a mine railroad as you try to escape! 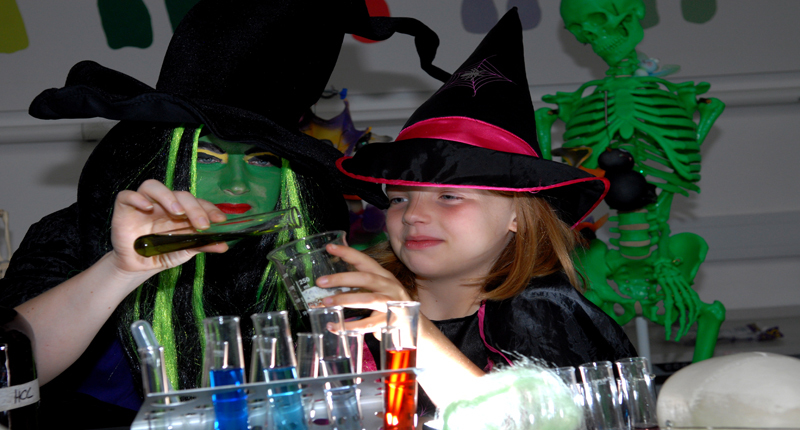 There are also plenty of hands-on activities, including the chance for children to make their own spooky haunted house to take away with them. *One free child per full paying adult. Terms and conditions apply – see the website for full details. **Warning: this show contains flashing images and lights. ***You must be at least 1.2 metres in height to use the 4D Motion Ride. Some children may find some scenes in the film scary. We recommend parents and guardians watch the film in advance to make their own judgement on whether this is suitable for the children in their care.